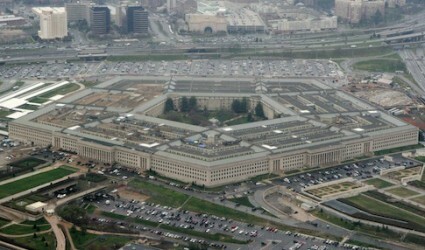 Some 83,000 Pentagon employees and contractors who handle classified intelligence were found to have unpaid federal taxes totaling $730 million, which makes them more likely to "compromise classified information," according to a report by the Government Accountability Office (GAO). At least 83,000 Defense Department tax delinquents "were determined eligible for secret, top secret, or sensitive compartmented information (SCI) clearances, or related interim clearances" despite their outstanding debts, according to the report. Some of those with back taxes are likely security-cleared employees of the executive branch, legislative branch, and the intelligence community, due to the large scope of the GAO’s analysis. Pentagon officials warned that "individuals having access to classified information pose a greater risk because they have more opportunity to actually compromise classified information than a person who is only eligible to access classified information," according to the GAO. The "GAO found that about 26,000 of the 83,000 DOD employees and contractors with eligibilities who owed taxes (about 31 percent) had access to classified information, and they owed about $229 million in federal taxes as of June 2012." Federal laws do not exist to ban a person with unpaid taxes from receiving a security clearance from the Pentagon. Yet "delinquent tax debt poses a potential vulnerability," according to the GAO.